AMIR Digital Mini Scale is famous with its compact and lightweight design, perfect for you to take it everywhere. Its high accuracy makes it a pro pocket scale to measure all kind of items or objects. The high quality LCD screen is backed by a bright blue LED backlight allowing it to be used and read easily in low light conditions. 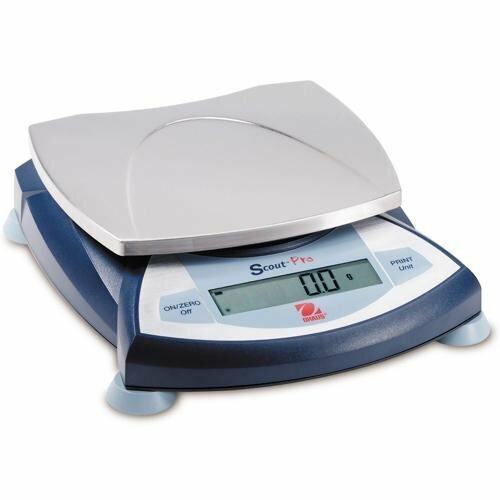 The compact design of these scales with their small size, auto-off feature. They also include an additional two non-connected slots in the battery compartment, allowing you to carry spare batteries with you at all times. Easy to reading: LCD display with blue back-lit for easy viewing (light can be turned off). When using the scale, gently take off the protective flip cover first, put in an environment of windless and no vibration. Please do not exceed the rated weight when weighing, in case damaging the sensor. Please do not impact tray, handle with care. When using the scale, please ensure that no electromagnetic interference around 50cm, in case get inaccurate result. 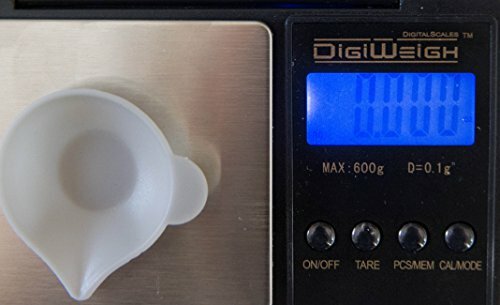 HIGH ACCURACY AMIR digital pocket kitchen scale built with high precision sensor system, provides you with instant and accurate results from 0.05g to 200g. Easy to clean and use, guarantee you an accurate weighing reading. 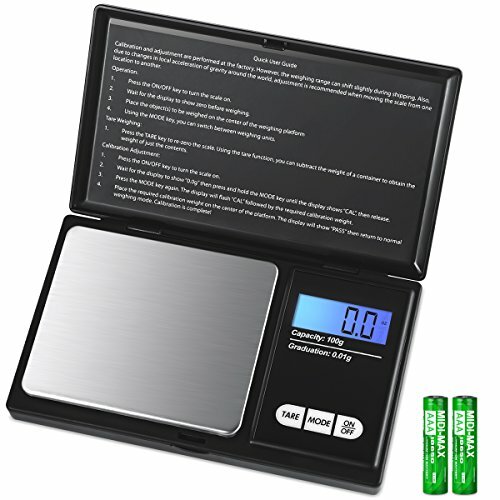 7 DIFFERENT MEASUREMENTS The mini food scale includes all the necessary unit measurements for easy weight translations, convert measurement between in g, gn, oz, ozt, ct, tl and dwt in seconds. Convenient for you to choose the proper unit by pressing the mode button. PROTECTIVE COVER The jewelry scale designed with a stainless steel platform and a protective flip cover. It is crafted to be strong, durable, and pocket-size for many of your portable weighing needs, such as food, tablets, powder, gemstones, coins, jewelry, gold, etc. What a useful pocket scale! COMPACT DESIGN & BACK-LIT Minimalistic and compact design (Product Dimensions: 3 x 5 x 3/4) make it a portable pocket scale to take everywhere. Built with a clear blue back-lit LCD screen, enables you to read easily and clearly. INTELLIGENT INDICATION The cooking scale can alert users for low battery power, overload, and uneven surface placement. Auto-off after 60 seconds of inactivity, which helps to preserve battery power and efficiency; 2 AAA batteries included. The calibration weight is not included. HIGH ACCURACY AMIR digital pocket kitchen scale built with high precision sensor system, provides you with instant and accurate results from 0.05g to 100g. Easy to clean and use, guarantee you an accurate weighing reading. Have you been looking for the perfect on-the-go pocket scale? one that is lightweight, accurate, and reliable? look no further - the smart weigh digital pocket scale with its sleek and portable design is exactly what you have been looking for! advanced! tired of inaccurate weight readings? ready for an upgrade? the smart weigh scale features the highest grade precision with the latest technology. Weigh master! this scale will help you accomplish a wide variety of weighing needs. It will do so accurately and to perfection. FEATURES- The SWS600 was crafted to be strong, durable, and pocket-size for your portable needs. It can weigh a variety of items such as food, tablets, gemstones, coins, jewelry,diamonds, grains,medicine, gold, or silver. DESIGN- Its tactile easy touch buttons, large size digits, and LCD blue backlight display, make the measurements easy to read. The sleek stainless steel platform measures 2.5 x 3.0 inches. MEASUREMENTS- Includes all the necessary unit measurements: gram (g) / ounce (oz) / troy ounces (ozt) / diamond weight total (dwt). Weighs from 0.1 g with a weight capacity of 600 g. Manufactured with high precision sensors to ensure accurate weight readings. WARRANTY/INCLUDES-The Smart Weigh Pocket Scale is backed with a 2 year warranty- you can be confident in your buying decision. Our friendly Customer Service Team is always available to answer any question or concern. The scale is powered by 2 x AAA batteries (included). 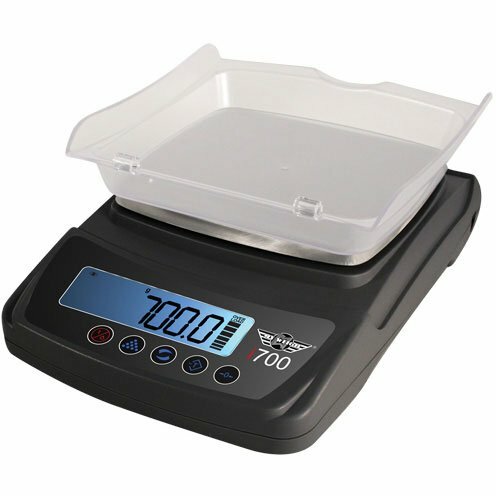 Use the protective scale cover as a weighing tray and to expand the scale's platform. The Mode button can be used for scale recalibration. The AMW-Hand Scale is the affordable solution for your weighing needs. Weigh up to 100 grams with this easy to use scale. 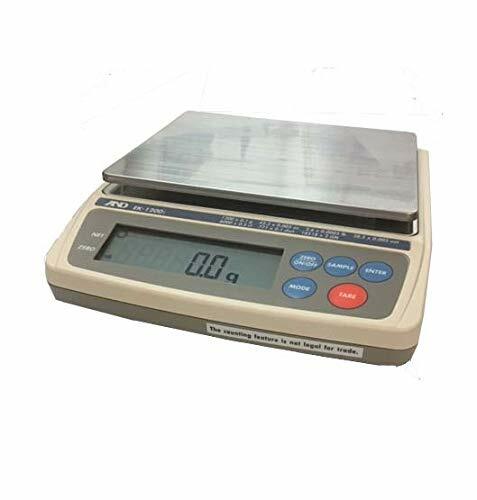 The My Weigh iBalance 700 Table Top Digital Lab Scale has a 700 gram capacity with a 0.1 gram resolution plus ounce (24.690 oz x 0.005 oz), carat (3500.0 ct x 0.5 ct), troy ounce (22.505 ozt x 0.005 ozt), pennyweight (450.1 dwt x 0.1 dwt), quarter ounce (98.78 1/4 oz x 0.02 1/4 oz) and eighth ounce (197.55 1/8 oz x 0.05 1/8 oz) units. This scale has a backlit display, tare feature and calibration mode. A protective cover and AC adapter included. 700 gram capacity x 0.1 gram resolution plus 6 additional weighing modes. Programmable auto-off, parts counting, tare and calibration features. Bright backlit display, stainless steel platform and removable protective cover. MODE Button: to switch the unit among KG, LB and JIN. ON Button: To turn the scale on/ off or press it for tare function when the scale is on working status. Ring Tone: A Di sound can be heard when the weighing result is locked. 2. Keep in mind that weight fluctuates up to 4-6lbs throughout the day. People are at their lightest in the morning before breakfast. As food enters the body, weight goes up and by the afternoon, weight begins to fall back down. Exercise will also bring weight down. 3. For accurate measurement, please place the Digital Bathroom Scale on a hard, flat surface, and stand on the central area. Travel Freindly Size : This digital scale is about 240*150*27mm, which is only a little larger than a book. Non-Skip Desigh : The NONSKID surface and 4 rubber feet can provide stability and make it is safe even you stand on this scale with wet feet. LCD Backlight : With the red LCD backlight you can read the numbers easily and clearly even in dark. 3 Untis : There are 3 units for your option, KG,lb and jin. 1 Year Warranty : We offer 1 year quality assurance on this scale. If there is any question, please feel free to contact us to get a replacement or a refund. Jewelry Weight Scale, Need 2 AAA batteries not included with a one minute auto shut off feature. 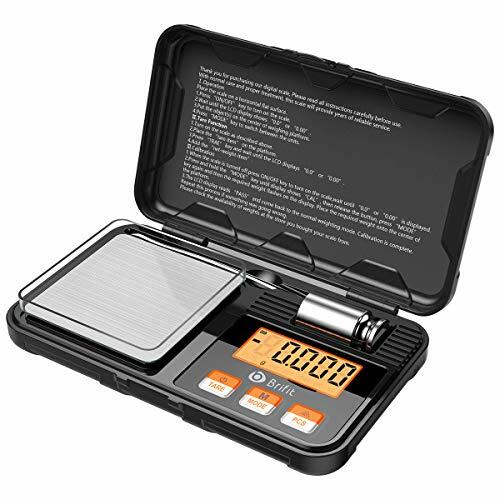 We're glad to share with you this SF-400C Electronic Scale with AC/DC Adapter and Windshield! It features high-precision and good performance, which ensure the accuracy of measurement, large platform suitable for bulkier items as well as a wide base for stability. Lightweight and small-sized design makes it portable in use. High quality keeps it durable and stable during use. 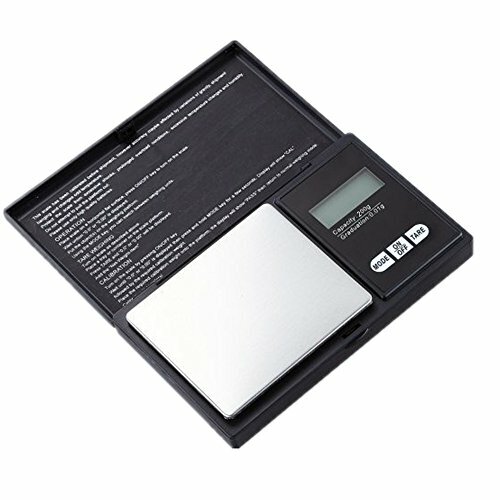 You can use this digital electronic scale for a wide variety of precision weighing needs: jewelry, coins, herbs, spices, medication. Order it now! Large stainless weighing pan. Equipped with a high precision strain gauge sensor. Large LCD (5 digits 20mm height) with back light and excellent load cell. Auto zero resetting/power off. 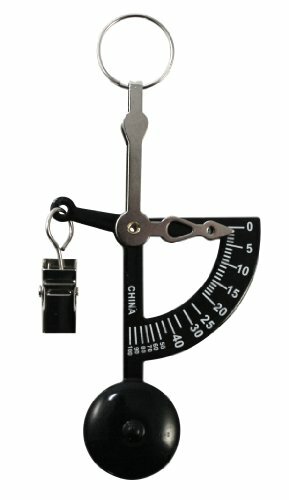 Net weight/stability indication. Over-load/low battery indicator (if powered by batteries). Come with transparent windshield and AC/DC adapter. Platform size (2.5" x 3") is perfect for holding coins, rolls, small bars, gold nuggets, silver dollars, flakes & other bullion; it's also great for scrap jewelry, metal-detector finds, & other small treasures! Easily convert your scrap gold/silver/platinum to TROY POUNDS (240 Pennyweights = 1 Troy Pound)! Ounce mode is great for postal shipments! High quality strain gauge load cell system makes it accurate in full capacity range. High density ABS housing and metal support makes it very durable. Impressive accuracy, repeatability, off center, and linearity. Large high contrast LCD display makes the readouts clear to read. TARE function makes it much easier to weigh liquid, flakes or powder. Attractive blue back lite can be used in any lighting. Note: For accurate measurements, here are some usage considerations: 1. When using for the first time, please use the weight to calibrate the weighing. The change of latitude and longitude will affect its accuracy. 2. The scale must be placed on a very stable water platform, even small vibrations can affect the readings, sometimes significantly affecting the readings. 3. Do not load more than the maximum capacity on the scale. 4. Avoid shaking, dropping, or otherwise shaking the balance. This is a precision instrument that must be operated with extreme care. Professional Precision : Measuring Range: 50g; Readability: 0.001 g; Perfect for weighing spices, powders, coins and other small, lightweight items. Easy to clean and use, guarantees accurate weighing. 6 Weighing Units : The Digital Fine Scale can meet most requirements., Convert the measurement between g / oz / ozt / dwt / ct / gn in seconds. It has an LCD display with orange background light, which makes it easy to read even in low light conditions. Multi-function : TARE function, and auto-off, low-battery indicator and overload indicator, which helps protect the scale and preserve battery performance and efficiency. 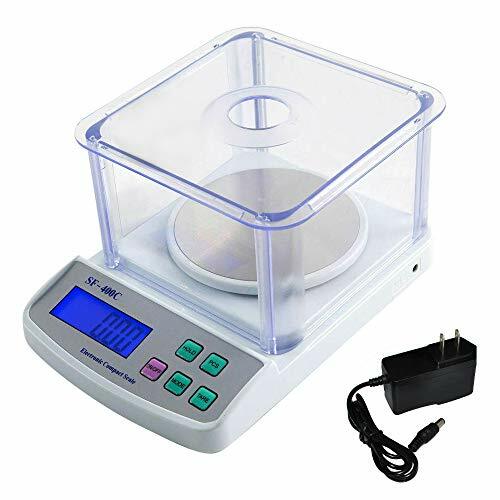 Accompanied by 50G Calibration Weight : Easy to calibrate to ensure accurate results, perfect for weighing jewelry, coins, spices, powders and other small, lightweight items. Thanks to their small size, you can take them anywhere in your pocket. Stylish design and space-saving : Thanks to their small size, you can take them anywhere in your pocket. Operated with 2 x AAA batteries, 50g stainless steel calibration weight and tweezers (included). 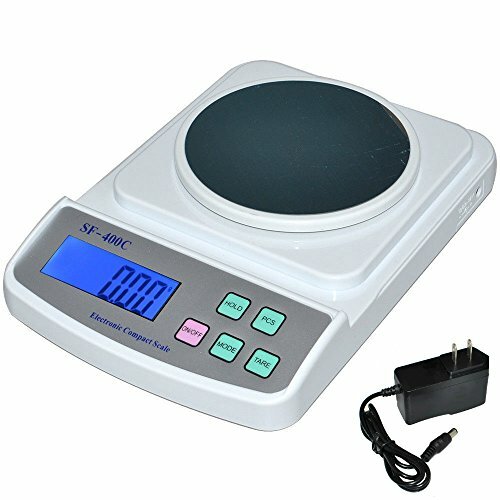 We're glad to share with you this SF-400C Electronic Scale with AC/DC Adapter! It features high-precision and good performance, which ensure the accuracy of measurement, large platform suitable for bulkier items as well as a wide base for stability. Lightweight and small-sized design makes it portable in use. High quality keeps it durable and stable during use. You can use this digital electronic scale for a wide variety of precision weighing needs: jewelry, coins, herbs, spices, medication. Order it now! 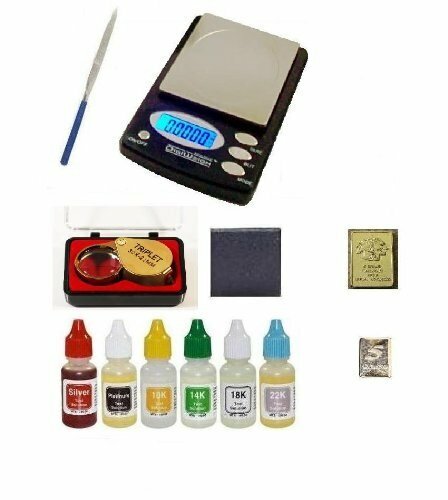 PuriTEST Pack of Test Acids Plus Electronic Scale Machine, Diamond Loupe, Silver and Gold Bars and More! Very easy to use and includes instructions. Sealed box contains six (6) bottles test solution; each bottle contains 1/2 fluid oz (0.50 fl oz) test acid. You will receive one 10k solution, one 14k solution, one 18k solution, one 22k solution, one Silver solution, and one Platinum solution--each new in box sealed with shrink-wrap. Test stone and file are brand new, and will last many uses. Test stone measures 2" x 2" (inches), and the file measures 5.5" (14cm). 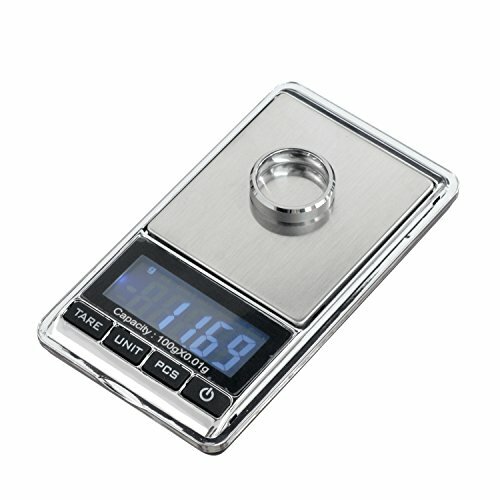 DigiWeigh 100AX jewelry scale retails for $79.00! 100 x 0.01g. Enables you to choose from Grams (g), Ounces (oz), Carats (ct) and Grains (gr/gn). Scale capacity/Accuracy: 100/0.01 g, 3.527/0.0005 oz, 500/0.05 ct, 1542.8/0.2 gr. This electronic scale is perfect for loose diamonds & gemstones, scrap jewelry, coins, small postal shipments, and much more. Use the FREE solid silver and gold samples and the gold-clad sample to demonstrate test/weigh procedures, or simply keep as investment. Very easy to use. Popular among professionals, hobbyists, coin enthusiasts, business owners, and students alike. Unique Gift Idea. Excellent tools. Excellent Value. 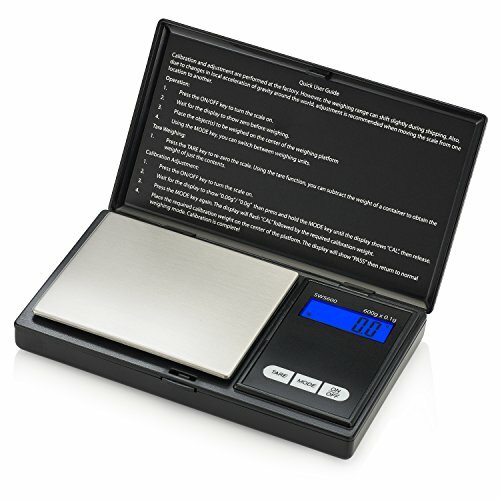 Horizon PRO-20B is a light-weight and compact professional jewelry scale. 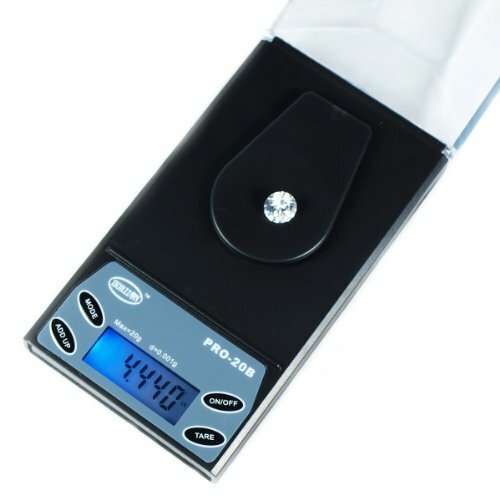 With its 20g capacity, 0.001g readability, and multiple weighing modes, PRO-20B is ideal for measuring precious metals (platinum, gold, silver) and stones (diamond), herbs and medication, industrial and lab specimens, and reloading. Brand: A&D Weighing | Manufacturer: A&d Engineering Inc. If you like this product, add it to your shopping cart. * SODIAL is a registered trademark. ONLY Authorized seller of SODIAL can sell under SODIAL listings.Our products will enhance your experience to unparalleled inspiration. 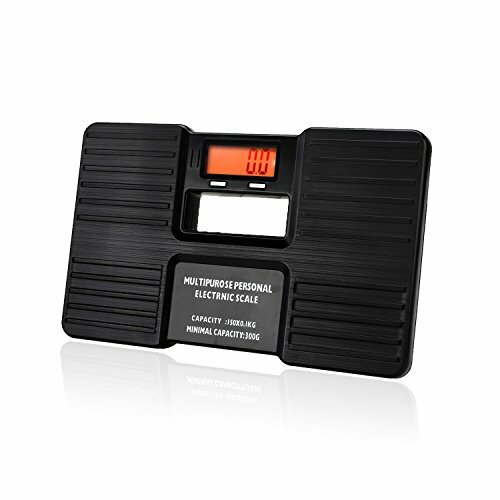 Weighing Accuracy:0.01kg/0.35oz Battery:3.7V 200mAh Mini kitchen intelligent electronic scale. Convenience to carry and storage. Suitable for iOS 9.0 and above, Android 4.4 and above mobile phone system. 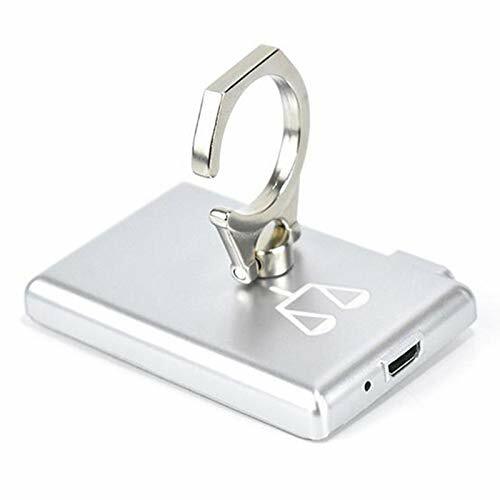 colour:silver white Material:PC+ABS+Zinc Alloy size:6*4*1.3cm Package Contents: 1 * Kitchen Electronic Scale 1 * manual 1 * USB data cable Only the above package content, other products are not included. Note: Light shooting and different displays may cause the color of the item in the picture a little different from the real thing. The measurement allowed error is +/- 1-3cm. This Handheld Balance Scale is like those used for weighing gold nuggets, medicine, and spices. The scale is solid brass with a certified capacity of 3.5 ounces (100 grams). The two bowls measure 3 inches (7.6 cm) in diameter, and the balance arm is 5 1/4 inches (13.3 cm) long. A needle indicates when the weights of the two bowl's contents are equal. 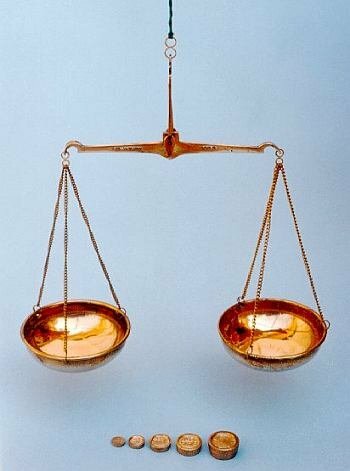 The balance scale comes complete with five brass weights, each weighing 1, 2, 5, 10, and 20 grams.